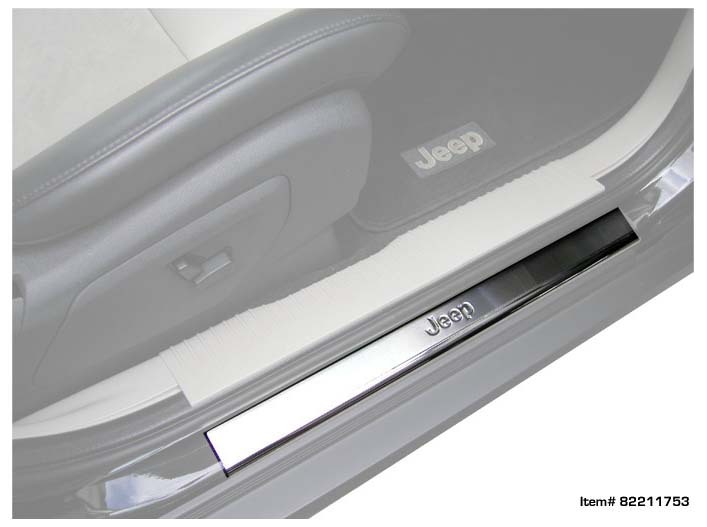 Add both good looks and an extra measure of protection to a high-wear area of your 2005-2010 Jeep Grand Cherokee with a set of door entry guards that are easy to install. 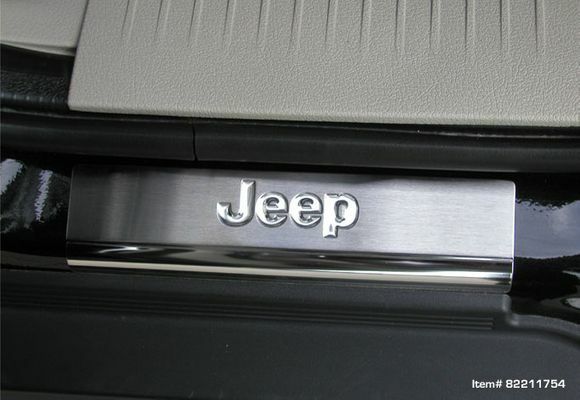 These stainless steel door entry guards come in sets of two for front or rear door use and the front ones come in two versions: one with the Jeep logo stamped into the door entry guard and another with an illuminated Jeep logo. Whichever one you choose, these door entry guards will add a finished look to your 2005-2010 Grand Cherokee and protect the door sill from dirt, scuffs and scratches. Please choose the set above.